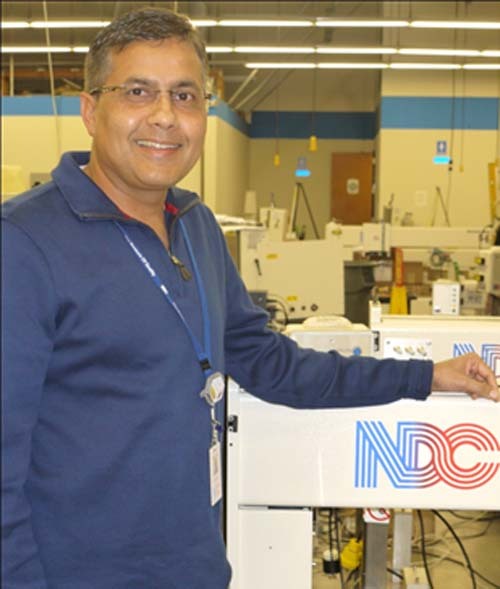 IRWINDALE, CA, February 27th 2014 – (www.ndc.com) – NDC Infrared Engineering is pleased to announce the appointment of Mahesh Havildar as Vice President of Global Operations for its Sensors, Systems and Metals Divisions. Mr. Havildar is responsible for overall manufacturing operations including production, quality, supply chain, material planning, project management, shipping logistics, radiation safety and product engineering. Mr. Havildar brings 20 plus years’ experience in manufacturing, operations and product engineering both in aerospace and the automotive industry. He has led teams in the Ford Motor Company implementing state-of-the art lean manufacturing systems and led technology teams in aerospace in product development and operations. Mr. Havildar is a certified six sigma black belt and has managed several lean and kaizen events for business process improvements. He holds a Masters Degree in Engineering from Lamar University, TX and an MBA from the University of Michigan. He is married with two daughters and resides in Irvine, CA. The metals product line includes X-Ray and optical thickness gauges, laser-based flatness and width gauges and a range of XRF sensors to measure coating thickness. NDC Infrared Engineering is headquartered at Irwindale, CA in the USA and Maldon, UK and Alleur, Belgium in Europe. Operating companies in Germany, Italy, China, Japan and India provide local support to key world markets, and NDC Infrared Group is presented in more than 60 countries worldwide by a network of specialist distributors. NDC Infrared Engineering is a Spectris company, an international company specializing in high value-in-use process control solutions.